Nabil Abu Rudeineh, official spokesman of PA chairman, says Britain should correct the "historic mistake" of the Balfour Declaration. Nabil Abu Rudeineh, the official spokesman of Palestinian Authority (PA) chairman Mahmoud Abbas, on Wednesday blasted the Balfour Declaration and called it “the crime of the century”. Palestine was not the name of an Arab state, but the ancient name given by the Roman Empire to the area south of Syria reaching from the Mediterranean to the Arabian Sea. In a statement issued to mark the 99th anniversary of the declaration, Abu Rudeineh said that this "crime" brought disaster upon the Palestinian Arab people whose consequences, including living as refugees, are evident to this day. The Balfour Declaration, however, protected the rights of minorities in the Jewish homeland. Abbas’s spokesman further said that the "colonial approach" is what “sowed the seeds of the wars that still take place in the region and the world”. 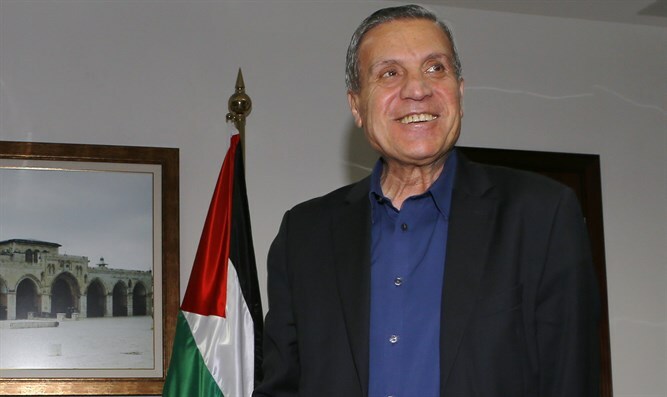 The Palestinian leadership, said Abu Rudeineh, continues to work to correct the "injustice" through the formal, international recognition of the rights of the Palestinian people. His remarks come several days after the Palestine Liberation Organization (PLO) launched a new campaign in an attempt to force Great Britain to apologize for the Balfour Declaration.